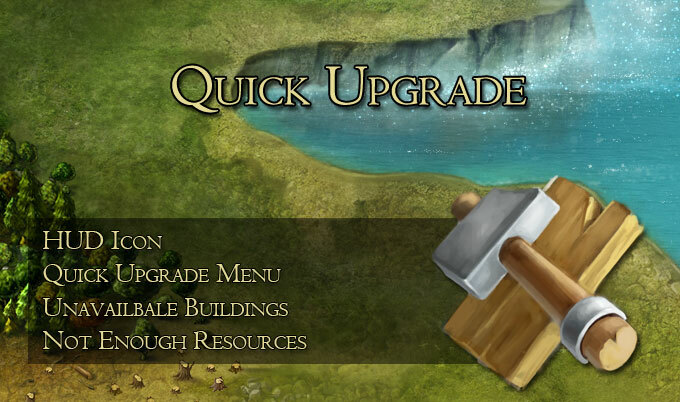 The quick upgrade menu is a simple easy way to keep an eye on all buildings even when you are not in the desired city. 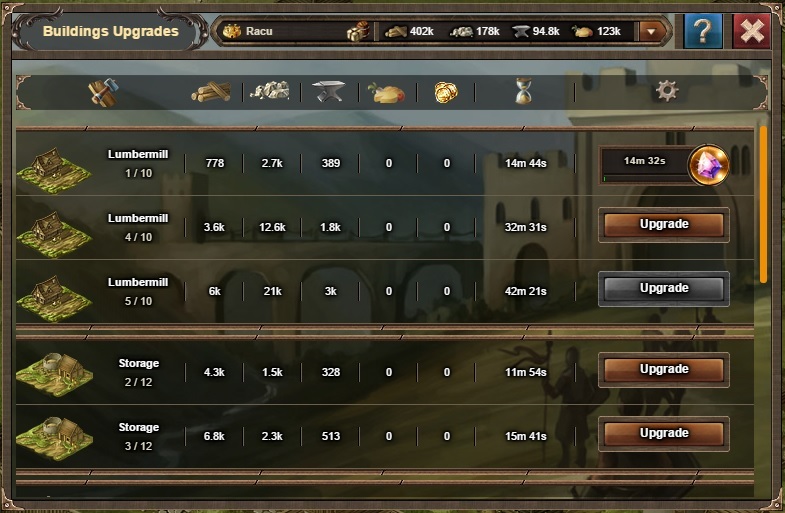 The Quick Upgrade menu icon can be seen in the pannel at the bottom of the screen next to the building menu icon. 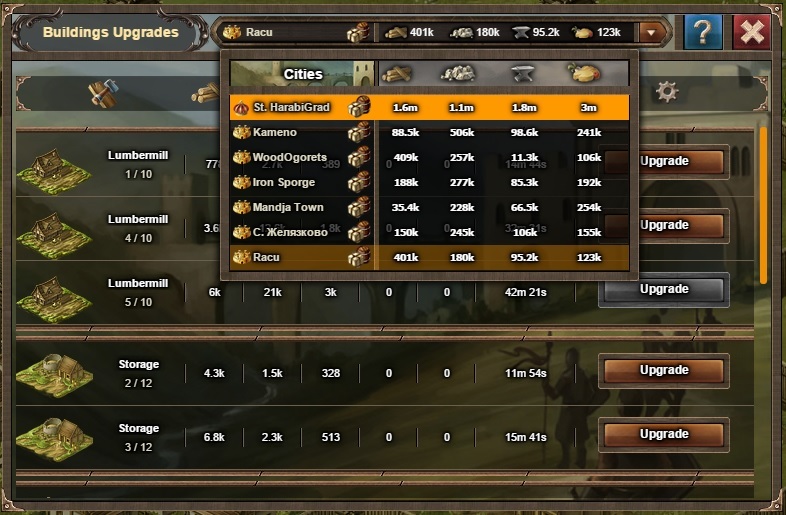 The city switcher drop-down list shows all your cities. It is located in the top section of the module and your current city of residence is shown there. Choose where you want to look for upgrades and the list will refresh with the current buildings and resources of the selected city. - The remaining time will be displayed as well as the option to fisnish the building instantly using gemstones. 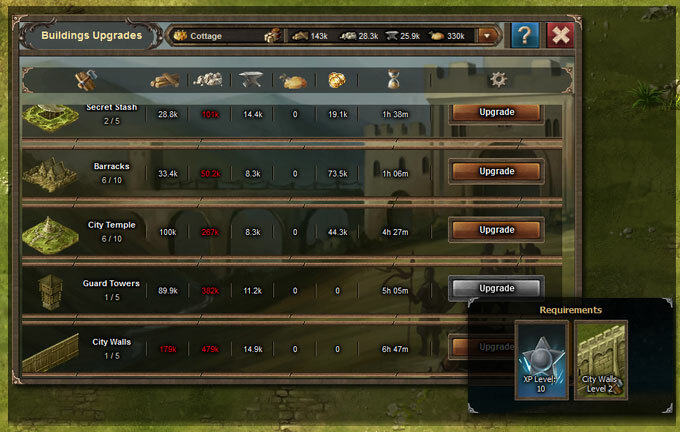 The button tooltip will give you the requirements for the specific building.